Enjoy this EDITABLE strategy group planner! 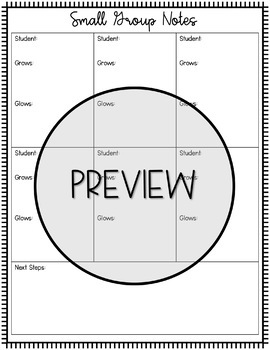 This makes planning for small reading strategy groups super simple and quick with a fillable pdf. I love adapting many strategy group lessons from the experts (like Jennifer Serravallo and Lucy Calkins) and I use this planner to help me organize my thoughts onto just one page. It has sentence stems included based on the Lucy Calkins strategy group prompts that help you frame your thoughts quickly and easily. 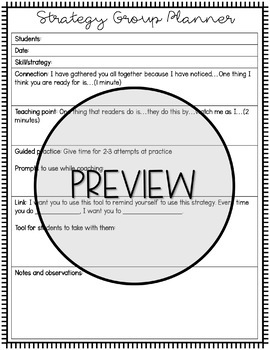 It also includes a note-taking sheet to take anecdotal notes about the kiddos in your group!